Have you heard about Rep. Devin Nunes’ effort to hold Attorney General Jeff Sessions in Contempt of Congress? If you live in Nunes’ district and you haven’t, you will soon. Jeff Sessions. He’s a conservative hero. An icon. A legend. Sessions was one of the first rock-ribbed conservatives to endorse President Trump. He was an original creator of so much of the Trump agenda that has America winning again. He’s been loyal to his principles, no matter how hard liberals attack him. But now, Devin Nunes wants to hold Sessions in contempt of Congress. Sounds like a scheme Nancy Pelosi cooked up over in San Francisco, don’t you think? Tell Nunes to stop playing games and get back to work. Congress is working on the Farm Bill. Around here, that’s serious business. It’s time for Nunes to start paying attention to what we here in the Central Valley need, and quit pulling political stunts. Leave that to the Democrats and the media. Paid for by the Swamp Accountability Project www.swampaccountabilityproject.com and not authorized by any candidate or candidate committee. It’s relatively simple: As the ad indicates, Sessions has a virtually unimpeachable conservative record. In fact, according to the American Conservative Union, Sessions boasts a lifetime rating of 93.65, as you can see here. Love Sessions or hate him, it’s inarguable that he is an incredibly principled man who sticks to his guns and his beliefs no matter what anyone says about it. That’s part of Nunes’ problem with him, in fact. Even though President Trump is explicitly not a target of the Mueller probe and the chatter about it being focused on bringing down Trump is primarily a Democratic and CNN-driven talking point, Nunes is trying to fiddle with it and undercut it nonetheless, attacking Sessions in the process. Maybe it’s because for the first time in a long time, Nunes could have a real challenge on his hands come November and his best hope to raise a ton of cash is to try to “nationalize” the race and make out that he’s President Trump’s best buddy, when Sessions is the actual author of the Trump agenda. Maybe it’s because of some future career plans he has in mind. Maybe he really is the conspiracy theorist the New York Times magazine recently made him out to be, though we doubt it given his extremely pro-Deep State voting and overall legislative record. Maybe he’s totally sincere, and yet also just wrong. The bottom line is, Nunes is attacking one of the country’s most principled conservatives and attempting to undermine a probe that has been ruthlessly effective in going after Beltway swamp creatures like Crooked Hillary’s friend and ally Tony Podesta (her campaign chairman and Bill Clinton’s former Chief of Staff’s brother). It’s worth pondering why Nunes seems hell-bent on picking perhaps the mother of all fights with Sessions when the primary beneficiaries appear to be figures like this guy—not the President or his actual political allies (Nunes may have forgotten, but Paul Manafort and Rick Gates came to the Trump party at basically the last possible moment; they’re just more Beltway swamp types, not actually part of the President’s inner circle). In the House, Rep. Nunes’ chamber, the Farm Bill is moving. That’s a considerably more important issue for his district than holding a stalwart, rock-ribbed conservative icon like Sessions in Contempt of Congress. And that is why we’re running this ad: To highlight to Nunes’ constituents his misplaced priorities. Hopefully, he’ll refocus in the coming weeks. 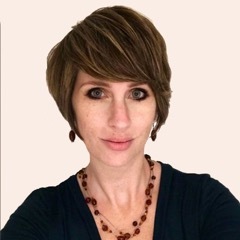 Liz Mair is a strategist for the Swamp Accountability Project. This entry was posted on Wednesday, May 16th, 2018 at 6:59 am and is filed under Blog Posts.